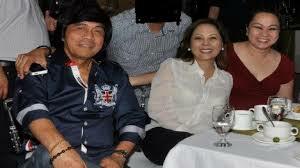 Gigi Reyes told GMA News she’s “ready to face” the plunder charges. Right now, she has two options: state witness or stay in love. Only GMA News was at the NAIA when Gigi Reyes arrived. The news crew was asking too many questions. But Reyes kept her cool and answered the questions juan at a time. On Saturday morning, Gigi Reyes returned, unannounced. No escorts, no drama, no fanfare, and surprisingly, no wheelchair. 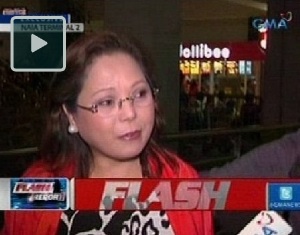 A month after the PDAF scandal broke out, Gigi Reyes left the country. That was almost eight months ago. No one knows where she’s been. She could have been to the US or Canada. Or maybe in the Cayman Islands, the Bahamas, the British Virgin Islands or Zurich. We don’t know. New Hampshire lawmakers recently voted to make adultery legal in the state. 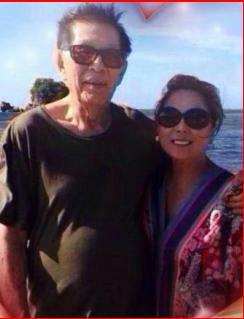 In totally unrelated news, Senator Enrile denied reports he’s spending his retirement years in New Hampshire. During the Holy Week break, Jinggoy Estrada reportedly prayed to God that his detractors be enlightened. In response, God ordered Jinggoy to enlighten Him first on what happened to the 230 million-peso pork barrel fund released to his office. Last week, the Philippine Star reported that DILG Sec. Mar Roxas blew his top and shouted at the staff of the Wack Wack Golf and Country Club who insisted that he pay some fees. 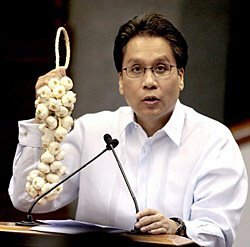 Roxas was quoted to have said, “’Tang-i*@! Kailan pa nagkaroon ng ganyang rules!?! ’Tang-i*@! 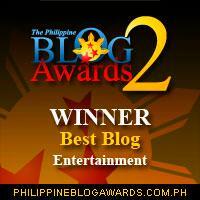 Walang bawal-bawal sa akin!” To be fair, Roxas has apologized. Apparently, the incident taught him some valuable lessons. It taught him how to be patient, how to be understanding, and how to ruin his chances of winning the presidency in 2016. DILG Sec. Mar Roxas reportedly lost his cool when he was told to pay some fees at the Wack Wack Golf and Country Club last April 6. For Roxas, it was an “unfortunate incident.” For Vice President Binay, it was an early Christmas gift. In his Easter Sunday message, Manila Archbishop Luis Antonio Tagle prayed for true peace. He asked God for peace in communities ravaged by earthquakes, typhoons and armed conflicts. He also prayed for peace in our hearts, homes, institutions, and golf courses. From the evening of Monday (April 21) to predawn of April 22, a meteor shower will light up Philippine skies. Astronomers say dozens of so-called ‘falling stars’ will be visible in the sky. So expect to see Jinggoy, Bong, and probably, Mar Roxas. Sa Metro Manila, ano ang madalas mong sakyan?